As a master in her field, talented Kate surpassed Dominic's wildest expectations. As a woman of uncommon intelligence and beauty, she unlocked something deep within him. Yet since their professional relationship--and erotically charged affair--came to an end, the fire in him has only grown stronger. 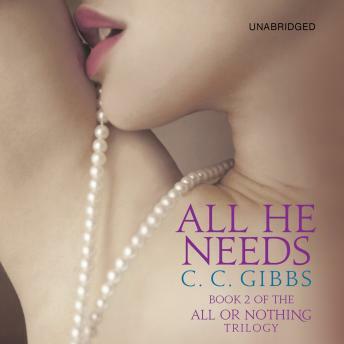 Now, the man who has everything will do whatever it takes to reclaim the woman he lost. From Boston and Paris to Singapore and San Francisco, he will lure Kate back into his elite world of privilege and passion. Together, they will test the limits of desire and the boundaries of discipline. For both, this is uncharted territory--naked, reckless, and uninhibited. But when Dominic's deadliest enemies target Kate, he must face his darkest fears...and admit to himself that she is all he needs.